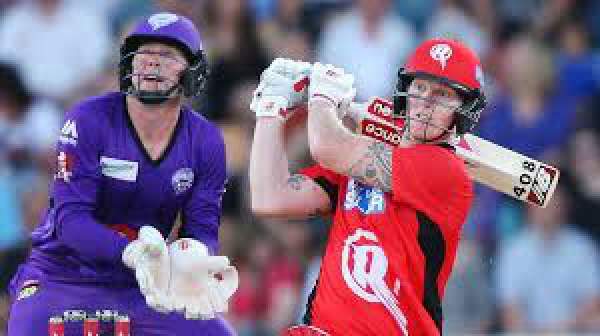 Melbourne side lost back to back two matches and as a result, it slipped to the fifth position in the BBL 2016-17 points table. Renegades lost on this past Saturday and Monday. The led by Aaron Finch has tried its best to repair the damage in their squad but settled with losing West Indies all-rounder Dwayne Bravo. Melbourne Renegades have two of the best spinners out there around the world. But, still, they gave away 200 runs to Stars and lost by 46-runs on Saturday in the derby. In the following match, they utilized the deliveries of Sri Lankan Thisara Perera who took two crucial wickets, but still MR lost by six wickets. The primary problem with the Melbourne team is their inconsistent batting. The batsmen haven’t been performing their best and other reason being their inconsistency. Narine is not at the top order. It looks like they need to change their strategy. Perera wasn’t able to perform well with the bat in his single match of the season. It means that Finch and Cameron White will have to take the responsibility in the upcoming games of the league. Tom Cooper and Callum Ferguson made 30s runs quickly on Monday. So, they must be feeling their good form and should contribute something good to the team’s total as it is an important home game. Apart from the above, MR has added opener batsman Marcus Harris and fast bowler Nathan Rimmington to the squad. For the Hobart Hurricanes, they stand at number seven in the standings table with just four points from six games. If they want to qualify for the next round, they will have to win every single forthcoming match. They can’t afford to lose even a single game of the current season. Skipper Paine, Bailey, Sangakkara have performed just on an average, but batsman Ben Dunk has stood for the team like a pillar in the batting department. Hobart side has enrolled Sam Rainbird and Jake Reed in place of Shaun Tait and Clive Rose respectively. They did it to provide support to the English bowler Stuart Broad. Moreover, the team has already lost matches back to back, so they have to do something to get back on the winning line if they want to keep hope for their semi-final round alive.